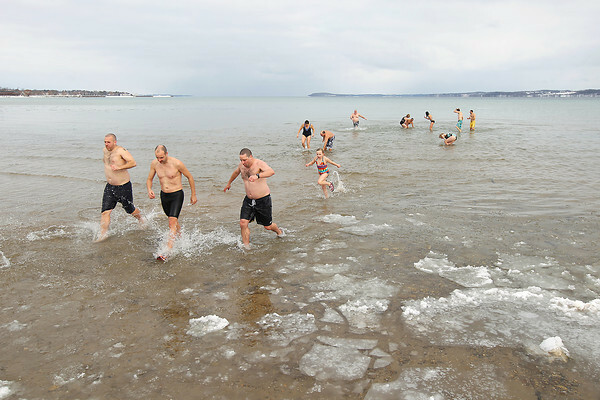 People exit West Grand Traverse Bay Tuesday, January 1, 2013 after a quick dip during the Crazy Times Ten New Year's Day jump in bay. Crazy Times Ten, the original group who organizes the event, is now entering its third year and jumps in West Grand Traverse Bay once a month. Those interested are welcome to participate with information being found at the 'Crazy Times Ten' Facebook page.